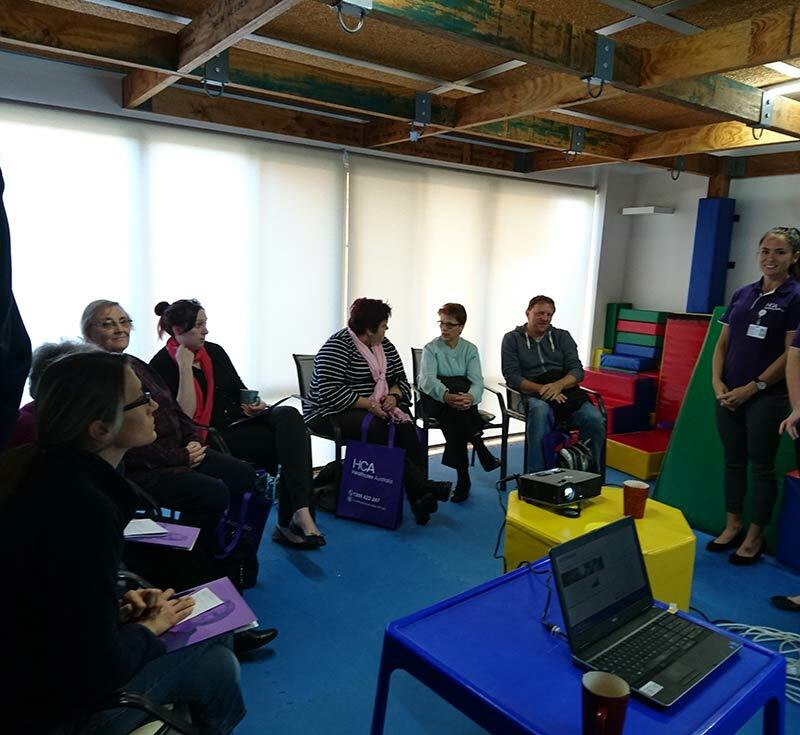 On Wednesday 16th May, we had Natalie and Chelsea from Healthcare Australia (HCA Home) present to our families the services that HCA Home offer using the NDIS Core Supports funding to support children at home and in the community. They provide a variety of services including supporting your child to learn activities of daily living at home, supporting your child access different community groups, supporting them at home, while you go out, supporting your child while you are at home and need to have some time to yourself. HCA Home work with families to come up with a customised plan, help stretch your NDIS funding further and get families the right kind of quality support that you need. It was a very informative discussion and well-prepared presentation, with lots of advice given to the families.